A.I. Godhead - Religions of the Future - Page 2 - Philosophy, Psychology and Religion - Chickensomething What Are You Afraid Of? The trending social aspects in the movies certainly has an eye towards selling the idea of transhumanism. Thou Shalt Tow the line and Bend the Knee! Do so now or thou shalt be economically sanctioned. We own your videos, your words, and all your images. All that you are we have digitized for posterity. Everything you see is what we give you to see. Only through the light can you know the truth. The real roll-up of all this isn’t robot lawyers, it’s financialization, with law becoming an applied branch of finance and insurance. When you think about it, not a lot has changed in the legal world from the days of To Kill a Mockingbird to the latest John Grisham thriller. Sure, literature snobs may insist that Atticus Finch’s flawless moral heroism should never be compared to the conflicted protagonists of contemporary legal page-turners, but in terms of the substance of how lawyers do their lawyering, the fundamentals have barely changed in 80 years — from the career track of a young lawyer to the setup of a law firm. The same cannot be said of virtually any other profession. Indeed, the legal industry seems more dusty than dynamic; the robes and wrinkles that mark those at the top of the field hardly scream modernity. But change is afoot, as a couple of powerful market forces are driving law firms to adopt modern corporate efficiency. At the heart of this movement are legal tech — including, yes, artificial intelligence — and demand. Since the financial crisis of 2007–08, there has been a “shift from a seller’s to a buyer’s market for legal services,” says a report from the Legal Executive Institute, as many commercial clients with tightened budgets began bringing legal services in-house. “It’s the alignment of tech and economics that is allowing all this stuff to start moving,” says Daniel Martin Katz, professor at Illinois Tech’s Chicago Kent College of Law. A technology initially used to fight traffic fines is now helping refugees with legal claims. When Joshua Browder developed DoNotPay he called it "the world's first robot lawyer". It's a chatbot - a computer program that carries out conversations through texts or vocal commands - and it uses Facebook Messenger to gather information about a case before spitting out advice and legal documents. It was originally designed to help people wiggle out of parking or speeding tickets. But now Browder - a 20-year-old British man currently studying at Stanford University - has adapted his bot to help asylum seekers. In the US and Canada, it's helping refugees complete immigration applications, and in the UK, it can aid asylum seekers in obtaining financial support from the government. The ultimate judge and jury. 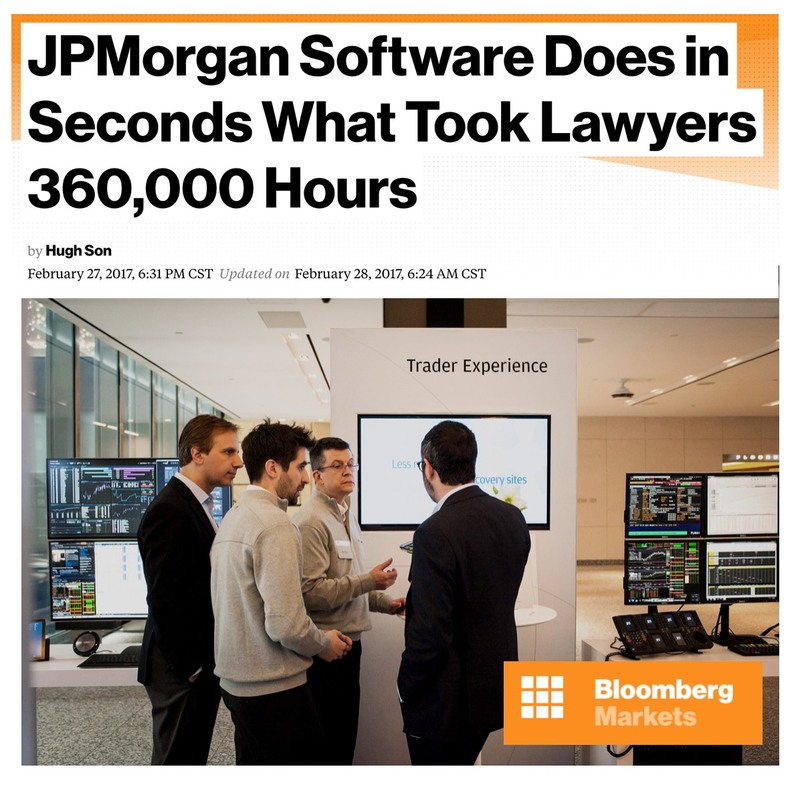 GIVEN the choice, who would you rather trust to safeguard your future: a bloodsucking lawyer or a cold, calculating computer? Granted, it's not much of a choice, since neither lawyers nor computers are renowned for their compassion. But it is a choice that you may well encounter in the not-too-distant future, as software based on “artificial intelligence” (AI) starts to dispense legal advice. Instead of paying a lawyer by the hour, you will have the option of consulting intelligent legal services via the web. While this might sound outlandish, experts believe that the advent of smart software capable of giving good, solid legal advice could revolutionise the legal profession. What is arguably one of the most conservative of all professions has already been quietly undergoing a technological revolution: many lawyers now use automated document-retrieval systems to store, sort and search through mountains of documents. But the introduction of smarter programs, capable of not just assisting lawyers but actually performing some of their functions, could turn the profession on its head. Such software could both improve access to justice and massively reduce legal costs, both for the client and the courts. What makes both these programs so smart is that they do more than just follow legal rules. Both tasks involve looking back through past cases and drawing inferences from them about how the courts are likely to view a new case. To do this, the programs use a combination of two common AI techniques: expert systems and machine learning. Expert systems are computer-based distillations of the rules of thumb used by experts in a particular field. SplitUp, for example, uses an expert “knowledge base” of 94 different variables, which are the factors identified by legal experts as most important to judges dealing with domestic-property disputes. Because no two cases are ever the same, and because judges use different degrees of discretion, it is not enough simply to apply a set of rules to these variables, however. Hence the need for machine learning, a technique in which a decision-making system is “tuned” using historical examples, and adjusting the model to ensure it produces the correct answer. The system is trained using a sample of previous cases to learn how these variables have been combined by judges in the past. All of this builds an accurate model of the decision-making process a judge might use, and allows it to be applied to new cases, says Dr Zeleznikow. GetAid also makes inferences, but instead of working out what the courts will award the client, its intelligence lies in its ability to predict whether the client has a winnable case. In the 1980s, a program designed to help lawyers interpret immigration law laid down by the British Nationality Act caused consternation among academics and lawyers alike. Shockingly, it could be used by lawyers and non-lawyers alike. Critics were worried that bypassing lawyers might pose a threat to democracy, because of the important role lawyers play in re-interpreting statutes laid down by Parliament, says Blay Whitby, an AI expert at the University of Sussex. “Any change to the status quo should be the subject of proper, informed democratic debate,” he says. Such concerns still linger, but attitudes seem to be shifting, says Mr Forsyth, as a new generation of more technology-savvy lawyers emerges. In 1999, a Texas court banned a basic self-help software package, Quicken Family Lawyer, on the grounds that the software was, in effect, practising law without a licence. Yet within 90 days this decision was overturned. This indicates a willingness among judges, at least, to tolerate the technology. Americans may like lawsuits, but they like technology even more. None of these systems threatens to put lawyers and judges out of a job, nor is that the intention. They do things that people do at the moment, says Dr Zeleznikow, “but they could be quicker and cheaper”. 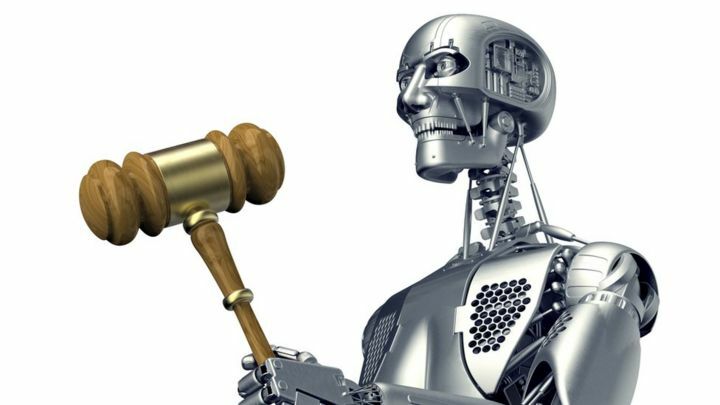 What the systems still lack is the ability to exercise discretion, and that is not likely to change for the foreseeable future—so humans need not worry about losing their jobs to an army of robo-lawyers. But smart software has the potential to make legal advice more readily available, unnecessary court battles less frequent, and rulings more consistent. Surely not even a lawyer could argue with that. To understand this topic, our Visionary Innovation Group looked at three fundamental pillars of humanity and how they will evolve over the coming 10-15 years: our bodies, our thought, and our behavior. After identifying the driving forces that will transform these fundamental pillars, we extracted key themes emerging from their convergence. Ultimately our goal was to determine the ways in which the changing nature of humanity and transhumanism would affect individuals, society, businesses, and government. A few of the trends that emerged from this study include the following seven trends. We hope they will spark discussion and innovation at your organizations. No matter how super intelligent these machines become they'll still be 'god' in a box. My concern is who gets access to 'gods' mind. Levels of authenticity, access to special features, control and authority, etc. A wriggling ear wurm implanted into the apple of your mind. Like an electric current of prime time energy. All connected to hive with permissions and values. Programmed to protect like a guardian angel on steroids. Planned and primed with a renewable source of bio energy. Normalizing this kind of stuff takes a bit of time. I suppose it would have to connect to the internet to have access to all the data banks available on the history of law. It could shepard arcane laws and look for precedents that would take a human being practically forever to find. Using its own logic and powers of pattern building could it still be an individual? How much memory and hard disk space could an individual robot have? I assume a robot would always be connected to the network. So, in essence, it could be hacked anytime. Hack into its ethics programming and force it to lie on demand. Asimov be damned. What good are the three laws if crooked humans teach robots to lie, cheat, and steal. Unusual Facts About The Moon…..